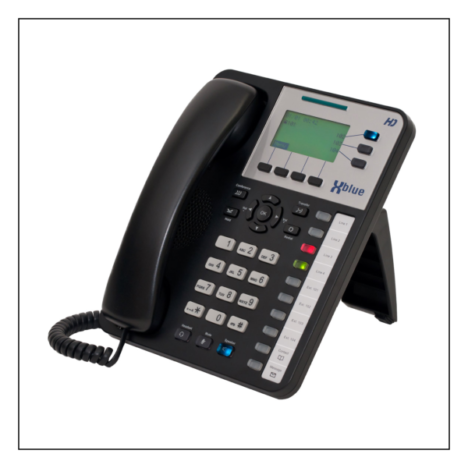 X25 capacity is up to (8) analog telephone lines, (8) VoIP line, (24) XBLUE IP Phones & (1) analog device / extension. 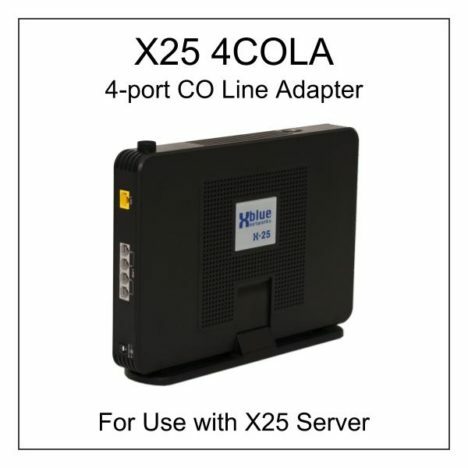 The optional CO Line Expansion Adapter (4COLA) adds (4) standard analog telephone line ports. Increases the overall standard analog telephone line capacity to (8) lines. This unit Auto Configures and Registers with the X25 System Server when on the same data network. The X25 server is required with software version v0.4.2 or above. Includes Power Supply & Ethernet Cable. One year warranty is included. 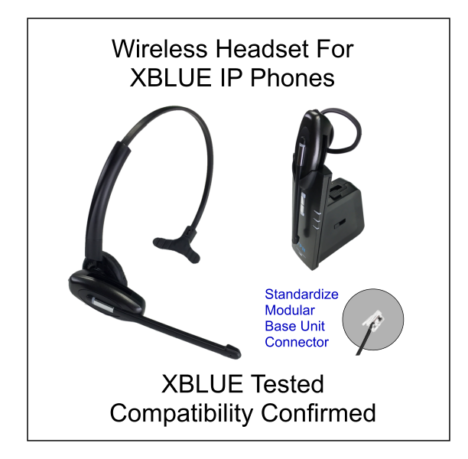 When you purchase this product on Store.XBLUE.com you receive free technical support from XBLUE to help you set it up for use with your XBLUE system. 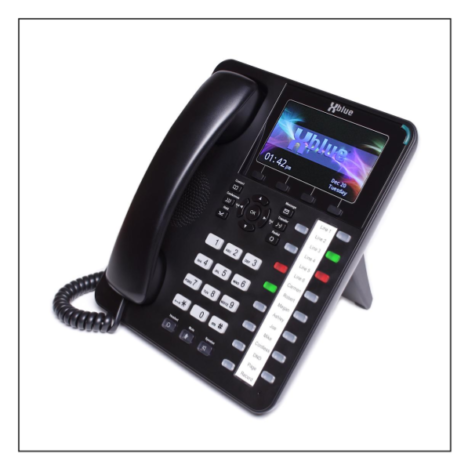 XBLUE X4040 HD Color Display IP Office Phone for X25 & X50 Systems. Includes Power Supply & Ethernet Cable. One year warranty is included. When you purchase this product on Store.XBLUE.com you receive free technical support from XBLUE to help you set it up for use with your XBLUE system. To provide support all we need is your Store.XBLUE.com order number. 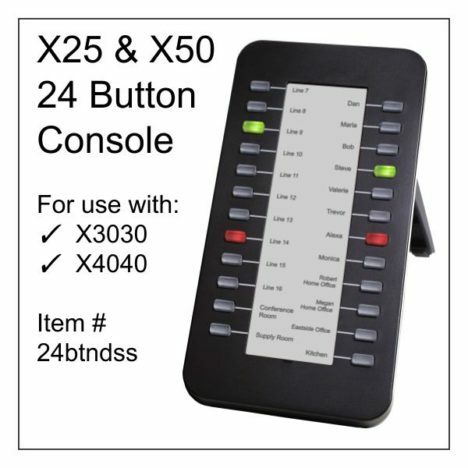 The Console enables One Touch Access to Outside Phone Lines, Other System Phones, and is also programmable for System Features & Speed Dialing. A quick glance at the console’s multi-color indicators shows the status of phones or lines. No power supply required. Compatible with XBLUE X25, X50, QB & Cloud Burst systems. 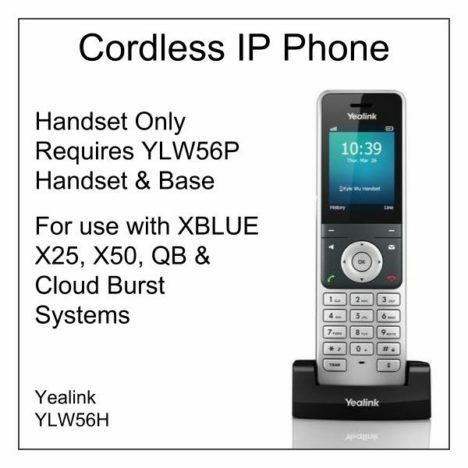 When using this cordless phone with your XBLUE system the user can make internal intercom calls, receive voicemail messages, access any external telephone line to make outgoing phone calls and answer any incoming call. IP End Point Provisioning: When purchased from Store.XBLUE.com, the XBLUE IP End Point Provisioning fee is included to integrate this product with your XBLUE phone system. 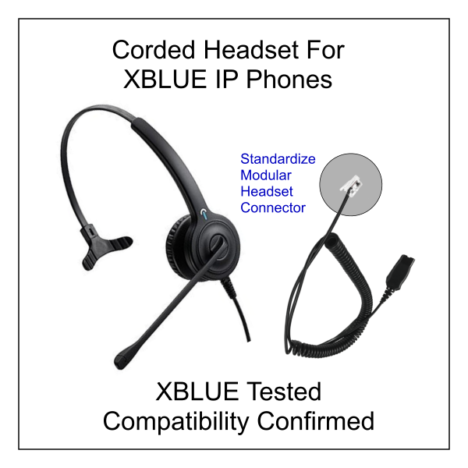 XBLUE Support: When you purchase this product on Store.XBLUE.com you receive free technical support from XBLUE to help you set it up for use with your XBLUE system. To receive this valuable service just contact us at 866-925-8312 or click here to send us a message. To provide support all we need is your Store.XBLUE.com order number. 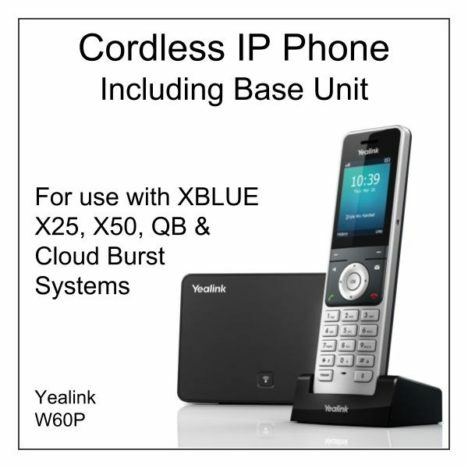 Enables your XBLUE IP Phone to wirelessly connect to your XBLUE Xsystem. This Wifi-N adapter includes an Ethernet port capable of speeds of up to 150 Mbps. Idea for phones located in areas within WiFi range but where a wired connection is not possible. Wifi should be used in a limited manner in VoIP applications. Contact us for more information. Professional, High Performance Telephone Headset. Ideal for call center agents, telephone receptionists or anyone who spends long periods on phone calls.